In the 15 years since the first Mazda 3 rolled off the assembly line, Mazda’s compact sedan has made a name for itself as one of the most versatile, drivable, and fun cars on the road. In fact, the Association of Canadian Automotive Journalists recognized it as the best small car in Canada for 2017, and it is consistently one of the best-selling cars in the country. If you’ve ever had the chance to drive a Mazda 3 yourself, you’ll know why: not only does the Mazda 3 offer superior handling, incredible responsiveness, and a playful spirit, it is also ideal for navigating everything from winding country roads to heavy city traffic. For shoppers in the Greater Toronto Area who are considering purchasing a Mazda 3 this summer, the best place to start looking is Yorkdale Dufferin Mazda. Over the past 15 years, Yorkdale Dufferin has distinguished itself as a premium Mazda Toronto dealership and in 2016 was awarded “Dealer of Distinction” by Mazda Canada. In addition to a wide range of Mazda vehicles of all kinds, Yorkdale Dufferin also boasts a large selection of new and used Mazda 3 cars, available both as regular sedans and as hatchbacks. Because the Mazda 3 is such a popular vehicle, one of the best ways to get a great deal on a Mazda 3 is to buy used. Shoppers looking for a used Mazda can find a wide variety of Mazda 3s in several different trims, from the basic package Mazda 3 GX to the extremely popular Mazda 3 GS all the way to the premium Mazda 3 GT. Every Mazda 3 combines style, grace, and — thanks to Mazda’s signature SKYACTIV engines — the best dynamics on the road. An important consideration when it comes to getting a great price on a Mazda 3 this summer is financing. Getting a good financing package, one that fits your budget and allows you to be realistic about what kinds of regular payments you can afford, is key to making any affordable auto purchase; this is why you should make sure you check out the Mazda finance options at Yorkdale Dufferin Mazda. We have an expert team of automotive and finance experts dedicated to finding you the best possible deal on a new or used Mazda 3, regardless of whether or not you have credit. And with our online application form, you can get started before you even step foot in the dealership! 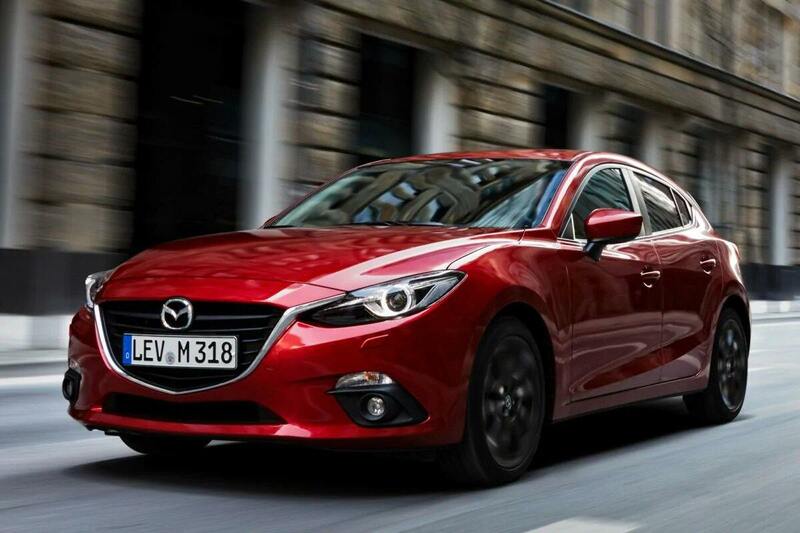 Of all the vehicles on the road today, few strike such a perfect balance between fun and function as the Mazda 3. The Mazda 3 really does offer the complete package, and whether you want to get behind the wheel of a brand new 2018 model equipped with all the latest features or are looking for a pre-owned Mazda 3 in excellent condition, our sales team can help you find the perfect car for you at a price that fits your budget. Visit Yorkdale Dufferin Mazda today and find out just how easy it is to drive away in your very own Mazda 3 this summer!